Pandora’s website has been in need of a redesign for quite some time now, and they have finally gotten around to doing just that. Starting today, the online music service is rolling out a new design to everyone, though paid members have had access for a few months. It makes the site look like a sleek, modern web app. 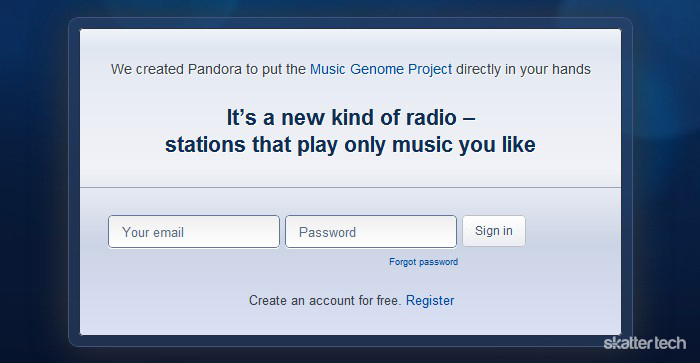 And similar to most of the better web apps out there, Pandora used HTML5 to get the job done. In late 2010 we started with a clean sheet of paper, challenging ourselves to create a new internet radio experience that was fast, social, and easy while still being familiar to the tens of millions of people who listen to Pandora each month. Not only does it look a lot better, but it is speedier and more intuitive. Pandora now provides users with suggestions for new radio stations and auto-complete choices for creating one you already have in mind. They placed the music controls prominently at the top center, making it especially easy to pause your music or rate it. There are a handful of new features as well. For one, you can now shuffle music between different stations via the toggle in the list on the left. Artist information is more in-depth with options to view lyrics, biographies, and high-resolution album art. 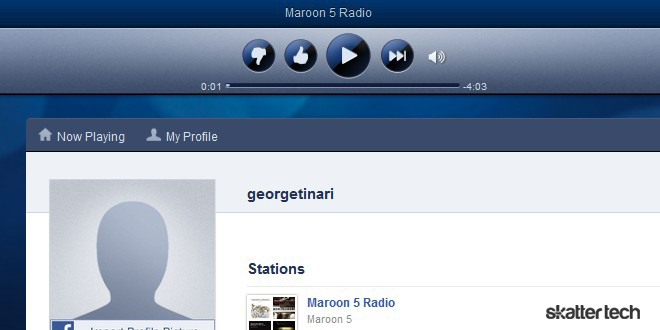 Pandora is also getting social with the new music feed. It allows you to see what music your friends are listening to and like or comment the activity as it shows up in the timeline. Additionally, users can share stations externally to Twitter, Facebook, or email. One downside of the new design is more ads. Yes, Pandora dedicates a considerably wide sidebar to advertisements and nothing else. Plus, audio and video ads will now appear every so often in between songs. Luckily though, these ads allow the service to remove the 40-hour cap on music playback. You can now listen to as much music as your heart desires for free. If you really can not stand ads, Pandora One is still available for $36 per year and offers premium features. This price is cheaper than competing services like Rdio and Spotify, but Pandora has its limits. The competition allows for searching and playing individual songs, so you always know what you are getting. Plus, Rdio is soon offering a free plan that does not include ads — a value anyone should consider. it does not work well at all on the latest Chrome. The buttons stop working, and you cannot control it. It’s also far less intuitive than the flash version which incidentally worked flawlessly. never had any problem with it before. Too many ads. I’m not going to use it anymore.